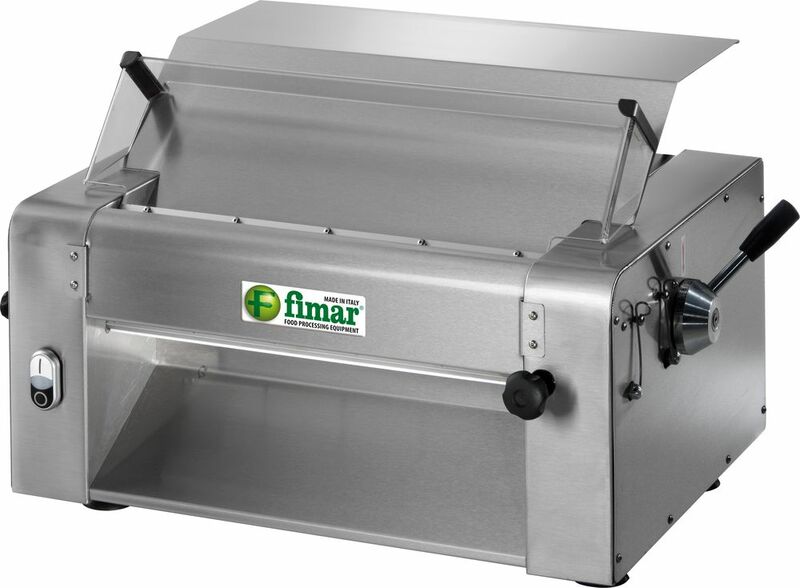 Fimar’s SI/420 is a machine designed to roll out egg, pizza and bread dough. The structure is fully made in stainless steel, with mirror polished stainless steel rollers. It is equipped with a knob for adjusting the last passage thickness; and a micro-switch on the roller protection lid. The accessories include: single pasta cutters in various sizes (2, 4, 5, 12 cm). The technical characteristics are the following: power 0.37 kW, power supply 230V/1 N/50 Hz, 230-400 V/50 Hz three phase; machine dimension 680x480x400 mm; net weight 61 kg; gross weight 70 kg; roller length 420 mm with 0/10 mm opening.